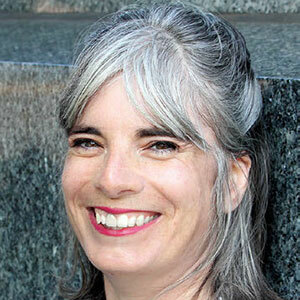 Already a print or digital subscriber? Our FREE email update is sent to you once every three weeks, bringing you cross-stitch information, patterns, ideas, tips and the latest news. Q. When did you begin cross stitching? 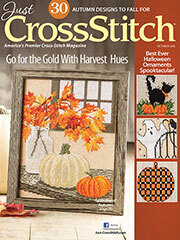 Would you enjoy participating in a Mystery Stitch-along in multiple issues of Just CrossStitch? Add Farmhouse Flair to Your Decor! Released in late 2018, DMC's newest line of flosses, Mouliné Étoile, offers stitchers a new way to add a little extra sparkle and jazz to any stitching project. DMC, one of the best-known and longest-standing thread companies in the world, is known for providing an extensive rainbow of color options. From their start in 1746 in Mulhouse, France, DMC has grown their line to showcase more than 400 colors, including the 35 new cotton colors they introduced earlier in 2018. However, this latest collection, the Mouliné Étoile, is especially unique and remarkable. 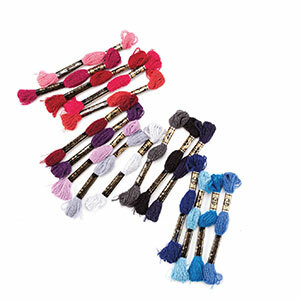 The newest thread, Mouliné Étoile, is a six-strand cotton thread that features saturated colors and added sparkle. DMC calls the newest addition to their line, the “most unique floss yet.” The line boasts a whopping 35 hues of the rainbow, and each one is as sparkly as the one before it. The glistening palette ranges from pure white to soft lavender, sunny yellow to rich reds and glowing greens to opulent blues. The newly released colors, which are 8 meters in length, are available individually for under $2 per skein from DMC. To see the new rainbow of colors or to order, visit www.dmc.com/us. I hope your holiday was peaceful and full of magic! It truly is the most wonderful time of the year! This year for us was quiet and peaceful, which is a nice treat. So much of life is busy and hectic, so a day or two that can just be spent enjoying life and blessings is always treasured. It was my first Christmas without Molly, but I took comfort and joy in looking at photos of her from past holidays. She loved the lighted tree and would stare at it just like I did as a child (and adult). It was Ellie's first Christmas with us, and I think she enjoyed it. She was always fascinated with any bags that came in, and she seemed to know which bags contained something for them. Abby knows the drill of Christmas now, but she never loses that excited look when we drive around looking at Christmas lights. Both girls got new jewelry (collars) and new clothes (a fleece jacket), and they shared a toy for the yard. Yes, I'm that pet parent. Yes, I admit it. No, I will not change. They crashed shortly after opening their presents and making a quick play run outside. A. I honestly don't remember. My mom taught me basic embroidery as a child, but she doesn't know how to cross stitch. I must have learned via a kit from our town's tiny craft store, and I picked it back up again four years ago. Q. When did you begin designing cross stitch? A. I've always been artistic, and went to art school in New Zealand and honed my art and craft skills. I'm half Kiwi and half Canadian; I've lived in both countries. I'd joined the Canadian Armed Forces as an air force intelligence officer in 2008 after living many years away from Canada in New Zealand and Japan. But, in 2012, I was hurt in training, and it soon became clear that I wasn’t going to recover (neck injury). I started thinking about what I could do to help support myself after my medical discharge, and I returned to my artistic roots. I'd picked up stitching again as a way to stay calm and quiet in a time of intense turmoil and pain, and I found it to be so therapeutic that I wanted to help others get the same benefits. In late 2014 I started offering cross-stitch tutorials on my blog and YouTube channel, and a year later, I started designing my own patterns and Peacock & Fig was born. Read the entire Q&A in our June 2019 issue! and SAVE up to 62%! Just CrossStitch serves up dozens and dozens of cross-stitch projects in all shapes, sizes and skill levels. You'll experience a surge in creativity and stitching pleasure like never before! Go ahead. See for yourself what the fun is all about. Includes annual Christmas Ornaments issue -- a $9.99 value -- each year! Print subscriptions available only in the United States and Canada. Live outside the U.S. and Canada? Click here to subscribe to the digital version. 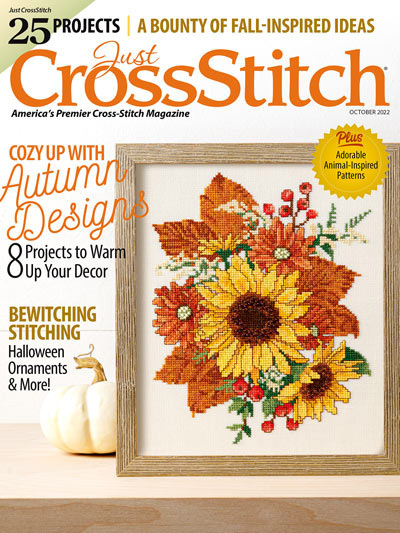 Just CrossStitch is published 6 times per year at the cover price of $6.99 per issue, plus the $9.99 Christmas Ornaments special issue. Canadian subscriptions will be charged an additional $10.00 per year plus GST/HST if needed.